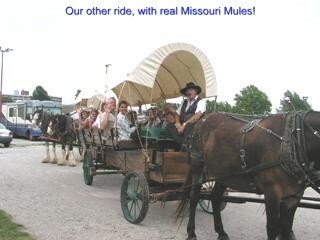 This rally was planned by Bob & Peggy Beers as a Pre-Rally to the International Trek Rally in Sedalia, Mo. We had a total of 13 coaches, with five Treks from the NWTFC and eight from other parts of the country; California, Rhode Island, Pennsylvania, Florida and Texas. Several Treks showed up days early, which thrilled us and the Campus RV Park management. 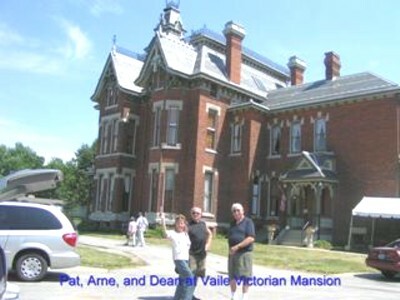 Pat and Arnie Bohn helped to plan, prepare and setup the three continental breakfasts, which was a big help. 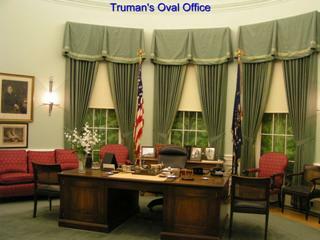 Everyone had a wonderful time while touring the Truman Library, two turn-of-the-century mansions, and breakfast at one of the mansions with live music. We visited a custom car show in the downtown area, took a narrated covered wagon tour of the city, and a guided tour of the National Frontier Trails Museum. 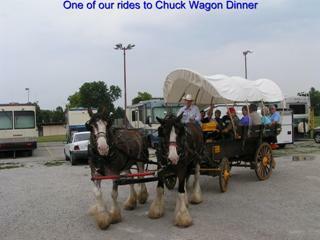 We enjoyed a chuck wagon dinner with live music. 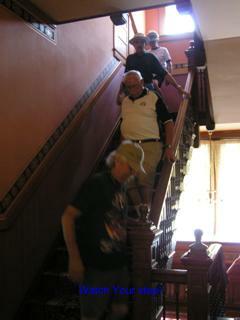 Some of us also toured the Arabia River Boat Museum in Kansas City, which was awesome. 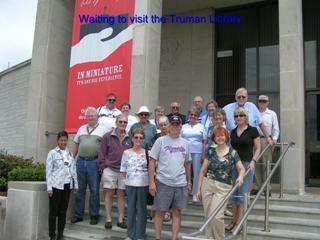 There was plenty of free time so attendees could visit places of their interest and get to know each other. The Campus RV Park hosts were the best you could ever ask for. They provided refrigerator, covered shelter, and coffee pots for our breakfasts, delivered mail to our coaches, referred us to a doctor, etc. The park is very well kept and is close to all activities. We told two traveling vendors about the Sedalia Rally and gave them Al and Judy Yeast’s phone number. 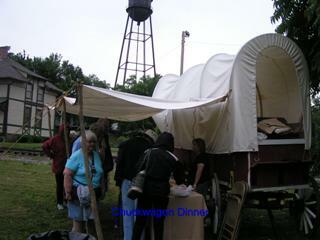 They ended up as vendors at Sedalia. Some new quality friendships were initiated here, including Al and Cathy Cooper from Tampa, FL, who plan to join us on our 2007 Alaska trip. 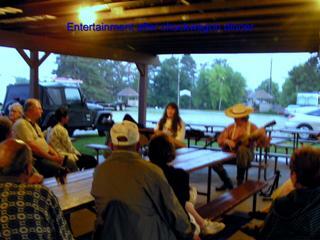 A great time was had by all !!!! !